Last month, news broke that employees of the Napa Valley Wine Train had kicked eleven members of a women’s book club called Sistahs on the Reading Edge — ten of whom were African-American — off a train for talking and laughing too loudly. Train officials marched the eleven women, one of whom was 83 years old, off the train, and posted — and quickly deleted — a statement on Facebook to the effect that the book club members had been verbally and physically abusive toward other guests. Napa Valley Wine Train executives subsequently apologized and accepted full blame for the incident. But many observers concluded that the treatment of the predominantly African-American book club was racially motivated — particularly the Facebook post, whose claims the women vehemently denied. The hashtag #LaughingWhileBlack went viral on Twitter. 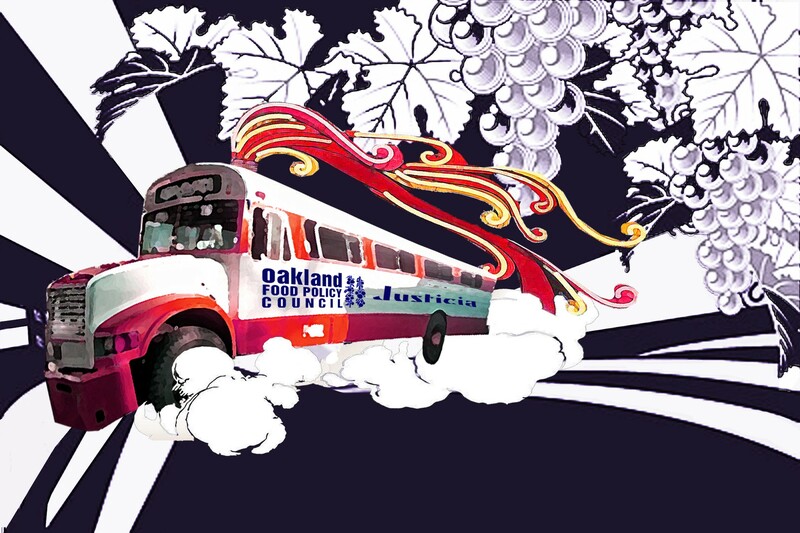 Now, an Oakland-based nonprofit is offering one potential antidote: the Wine Soul Train, a daylong tour of Black- and Latino-owned wineries in the Napa and Sonoma valleys. The initial tour will take place on Saturday, September 26, with a tour bus that seats 35 people departing from Miss Ollie’s restaurant (901 Washington St., Oakland) at 10 a.m. But if the Wine Soul Train is successful, it might become a semi-regular event. Pallana, who is Mexican American, started to think about what it would be like if people of color had their own wine train. What would that look like? How would its priorities be different? The idea of putting together the Wine Soul Train grew out of those initial thoughts. The Oakland Food Policy Council works to promote equity in the food system, so the appeal of such a tour would be in the way it would highlight and support people of color who are taking leadership roles in a mostly white-dominated industry. And, of course, the tour will offer a setting in which black- and brown-skinned people — and anyone else who cares to join the party — can laugh loudly and have a good time without fear of racial animus. Rafael Rios, who is the Mexican-American proprietor of Justicia Wines, a small, Calistoga-based boutique winery that is, according to its mission statement, committed to “freedom, equality and justice,” is also the president of the Napa Sonoma Mexican-American Vintners Association. The vintners association currently has fifteen members, and Rios estimates that there are another eight to ten Latino-owned wineries in Napa Valley alone — out of a total of about 450 wineries in Napa. That’s a small percentage, but it’s not as though they, and the small handful of Black-owned wineries, are nonexistent. Their lack of visibility, though, is a big part of Pallana’s motivation for organizing the tour. The Wine Soul Train’s $100 price tag will include lunch, snacks, and tastings at three different wineries. Pallana and her colleagues at the Oakland Food Policy Council are still hammering out the final details, including the specific wineries that will participate. Justicia Wines was at the top of Pallana’s list; after all, the name alone was perfect for the theme of the tour. But Rios doesn’t have his own physical winery — his wines are made to his specifications at Maldonado Vineyards, a winery in Calistoga owned by his sister and brother-in-law. Maldonado is one possible tour stop, then, and Pallana has also been in touch with three Black-owned wineries: Everett Ridge Winery (in Healdsburg), Sharp Cellars (Sonoma), and Esterlina Vineyards (Healdsburg). 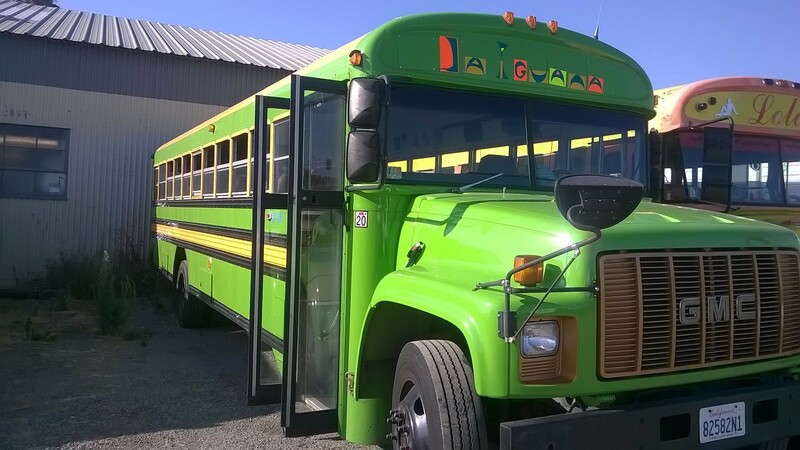 The Oakland Food Policy Council doesn’t actually have access to a private train, but Pallana has come up with a perfect partner for the project: The Mexican Bus, a San Francisco-based charter bus company known for its rollicking, colorfully decorated vehicles — an homage to the kinds of buses that are common in many parts of Latin America. Pallana said touring wine country in one of the company’s idiosyncratic buses would maintain that spirit of supporting businesses run by people of color — and also of addressing a serious issue with a light, humorous touch. Tickets for the tour are available via EventBrite.